Going after specific leaks on a flat roof is the least expensive repair option averaging somewhere between $200-$600 dollars depending on how hard the leak is to find and the amount of material required to fix it. 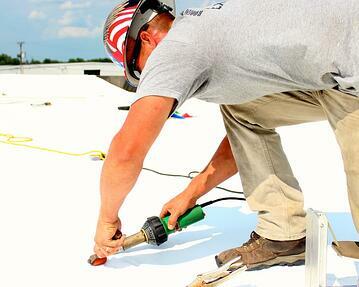 Budget more for large sized flat roof repairs and maintenance projects which require more flat roofing material and more labor to get building dry. 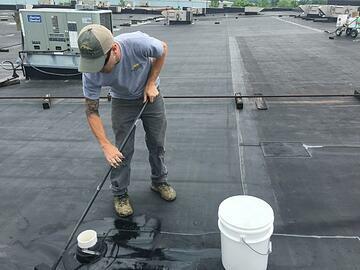 However, the great thing about targeting specific flat roof leaks, especially if you have more leaks than money, is that you can prioritize repairs. For example, you may want to make good use of a limited budget by tackling leaks in your showroom first, then if able to move onto leaks in the shop area where they are important but not as important as leaks in the showroom. 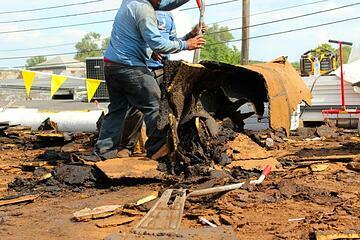 Prioritizing roofs leaks can be a great way to maximize a smaller budget. 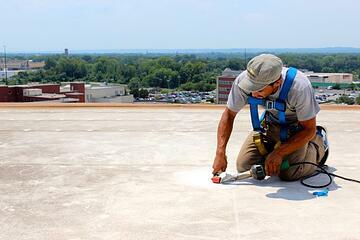 Recovering a roof with a white, PVC membrane is the best value flat roof repair option on the market today. Ranging from $2.50-$4.00 per SqFt. installed it's a long term solution, 15 or 20 year, and much less expensive than a flat roof tear off. PVC recovers give you the most bang for your buck. Keep in mind the parapet walls can also be recovered with PVC stopping leaks in and around masonry walls and caps. New metal trims such as metal coping caps or 2 piece snap metal edging can also be used to enhance building appearance and curb appeal. 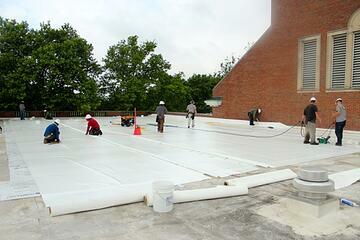 You can even add insulation to the existing roof system during a recover. 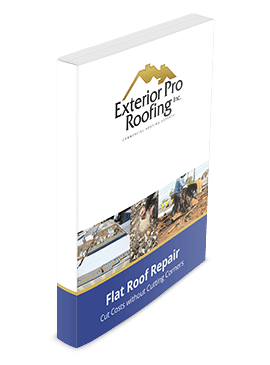 Tearing off a flat roof and starting from scratch will be your most expensive flat roof repair option averaging somewhere between $4.00-$8.99 per SqFt. installed. 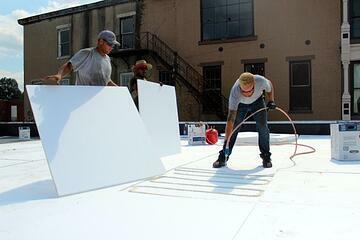 Tear offs cost more not only because they require more labor and dumper fees, but also the roof insulation must be replaced and insulation is expensive. But choosing to skimp or not insulation at all will cost you in building performance and high heating and cooling cost in the long run.